At times, life brings us to a variety of painful and confusing crossroads. These places are where crucial decisions to pursue God are made and we find most people are desperate for a relationship not a religion. 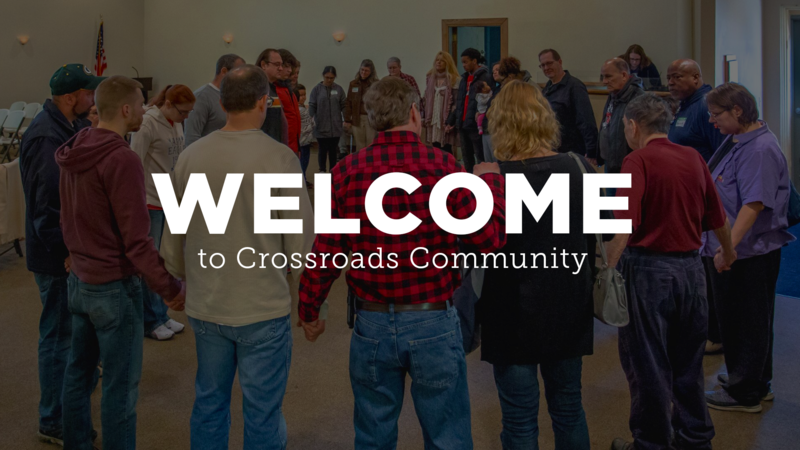 Crossroads Community operates out of the deep belief that people matter to God. We welcome you to explore a relationship with God in a safe and authentic environment. We are thankful you are allowing us to walk beside you in your journey at the crossroads of your life. As we face life's challenges, we need a safe, confidential, supportive atmosphere where we can find structure, encouragement and biblical teaching. We offer recovery groups like Reclaim and ACA, among others. Looking for our Community campus? We’ve made it easy for you to experience Crossroads on your first visit. There is something soothing about getting together with others over coffee and experiencing the aroma of the roast and the sense of connection with someone else. Grab a cup of coffee head to the gym for a nice warm breakfast at 9:15am and then join us for the service at 10:00am. Families should check in at the Children's check-in area in the main auditorium. Children ages birth-4 yrs old go immediately back to their classes. K-5th grade children are welcomed into the service for music and then dismissed to their classrooms. Students 5th grade and older remain in the service with their parents. Our church services are generally 75 minutes and are a combination of music, teaching, communion and announcements. The teaching is streamed live from our Community Campus service at 10:00 am.